It is that time of year when the coffee world is abuzz about the London Coffee Festival. After a very successful 2018 at LCF, and the mammoth task of moving our roastery at the end of last year, we were rather delighted when Prufrock asked us to be a part of the fun they are planning around the festival this year. Taking place on Saturday 30 and Sunday 31 March, Prufrock Coffee and Prufrock Training & Consulting will be hosting two “not to be missed” events shaping the world of coffee. Paying homage to High Tea, and in celebration of London Coffee culture, Prufrock Coffee is planning a rather fancy High Tea, High Coffee Tra-la-la. Featuring our El Romerillo filter from Peru, they are offering a sit-down tasting of three coffees, from three different roasteries, paired with a delectable selection of in-house savouries and sweets by Fortitude Bakehouse, taking coffee appreciation to new heights! In many ways, the jewel in the crown of our Peruvian selection, sourced by our Head Roaster Courtney, we are rather chuffed that we can exclusively launch the very talented Leydi Burga’s El Romerillo on such a fun platform, and can’t wait to see it shine in the context of a pairing. It is with even greater delight that our Ecuadorean La Perla, produced by Magda Zabala has been selected as one of the coffees to be featured at Prufrock Training and Consulting’s Best of the Festival cupping. Showcasing exciting coffees from the most interesting roasters, PT&C will take time to taste and discuss these coffees side by side in a calm and encouraging environment designed to be an oasis of serenity and appreciation in contrast to the frenzy of the festival. Elegant with jasmine and floral notes, La Perla has been described as pure joy in a cup, and was a runner up in Taza Dorada 2018. We simply can’t wait to hear your thoughts, and share in the chats and discussions around the cupping table! To book your tickets and time slots, follow the links below, and don’t miss the opportunity to experience and appreciate some of the best coffees the world has to offer in the heart of London coffee culture, Prufrock Coffee. 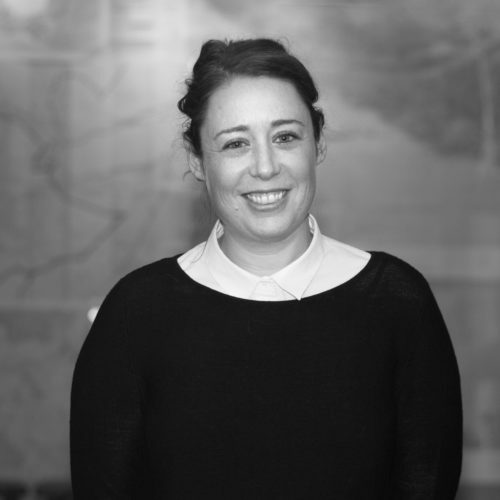 Felicity is the Managing Director and Chief Wrangler at Square Mile Coffee. Previously owner and manager of the successful Taste of Bitter Love cafe, she is now keeper of Lamb-Cam.